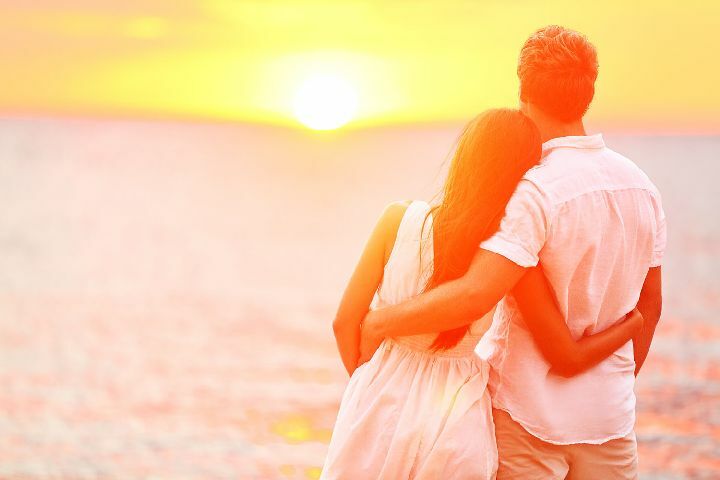 Honeymoon couple romantic in love at beach sunset. Newlywed happy young couple embracing enjoying ocean sunset during travel holidays vacation getaway. Interracial couple, Asian woman, Caucasian man.